Men grow beards for many different reasons. 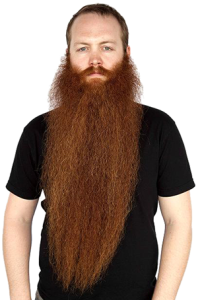 Beards are, contrary to popular belief, not always a result of laziness, although, most of us have grown an involuntary beard from time to time. Depending on the type of activities you’re involved in, growing a beard is a style option that you might have available, but never pursued in a systematic fashion. We get asked a lot about how to grow a beard, so we decided to put together this beard grooming tips guide and share it with you, so that you can apply certain guidelines if you think about growing your own. Before going forward with some things that you should consider when growing a beard, probably the most important thing that you should be aware of is that no two beards are the same. Especially if you’re a beginner in growing a beard, then don’t expect to just apply everything you’re reading in this guide and have a perfect beard at the end of the day. There’s some trial and error involved in defining what is the best beard style for you. The information that you read here is as useful as we could possibly make it. We tried to combine experiences of multiple individuals so that we can offer advice as applicable as possible. But don’t forget that this guide is not going to go the whole way. You will have to experiment as well, and have the patience to give your beard the necessary time to grow and form. The beard is just one aspect of the entire personal style equation, we will go deeper into this in the following paragraphs. Some of the things that you should consider when growing a beard will not depend on the beard itself. Beard Grooming Tip #1: Let it grow. For the majority of men who decide to grow a beard this is the hardest part. Especially younger men who haven’t grown a beard before will experience some difficulty. This is what happened to me when I first decided to give the beard a try. As with most youngsters, my beard wasn’t growing as fast as I thought it would and it kind of gave me a sense of insecurity when I saw it wasn’t quite the thick, full beard I hoped for. Sound familiar? I initially was on the verge of throwing in the towel but then I thought that’s completely wrong. You have to give your beard at least a full month to grow, and don’t mind about how it looks until then. For example, I would need somewhere between one and two months to have a beard that satisfies my expectations in how a beard should look and feel like. So, just let it grow! Everyone who went through this process before knows how difficult the wait is but in the end you will have something to work with. Beard Grooming Tip #2: Make the right decision. Don’t get too sad if you notice any of the signs mentioned above, because you can always choose to adopt a facial hair style that will look good. The first thing you check for is how thick your beard is, from a general point of view. Check for how even the growth is, how stiff the hairs are and how fast it grew. As already mentioned, if you can’t pass this stage with a satisfactory level, don’t mind too much, go for a facial hair style that matches you. The only advantage that thickness of the beard brings with it is a bigger number of facial hair styles that are possible. If you successfully pass this stage, then go on to the next and check for any bald spots. Some will notice bigger spots within their beards that don’t have exactly the same hair density as the rest of the beard. If this is the case for you, the next thing you should do is check for unsprouted hair. If you notice hairs in the follicles within bald spots, it means that those aren’t really bald spots, the hair’s just not growing, yet. A useful thing that you could do is taking some beard vitamins to give those small hairs everything they need to start developing. If, on the other hand, you can’t notice any hair at all, then you should think about another facial hair style that will look good. 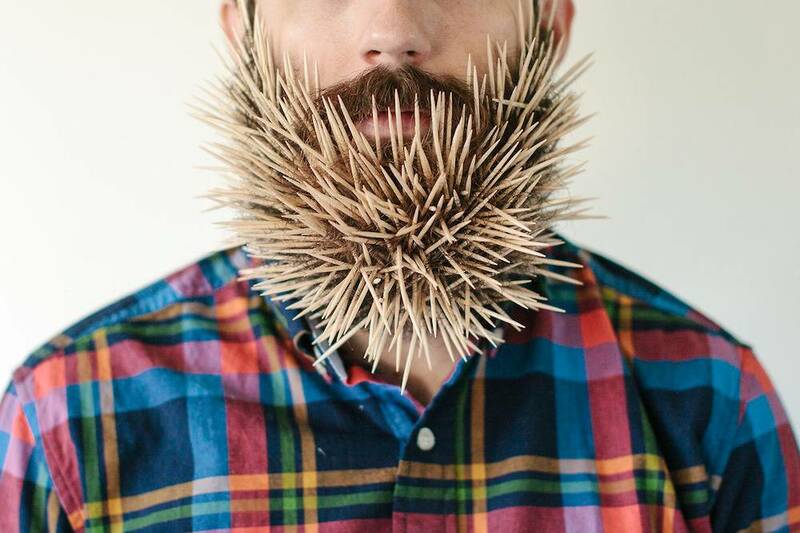 Beard Growth Tip #3: See your beard as one part of your entire style. Your beard will not be a stand-alone element of your style, it will be only one part of it. When you think about growing a beard, you should think about the entire equation. A full beard looks completely different if you adopt different styles. For example, the full beard look transmits a certain feeling when accompanied by leather jackets, chains, boots and a chopper, and will transmit something entirely different when wearing a slim suit and a narrow tie. And, like you probably heard, 70% of communication between people is non-verbal, so you should do some thorough planning before deciding on a particular facial hair style. This way you can make sure that it compliments your overall look and that your entire style is true to you or getting the intended message across. Beard Growth Tip #4: Build a proper grooming kit. and of course a travel bag, so you can take everything with you when on the road. You can either go for a grooming kit that contains more products, or you can select each item and form your own kit. Either way, it’s important to use some sort of grooming tools and products in order to maintain a nice look. Beards are not as lazy a style as some believe. If you don’t groom your beard regularly, you can end up looking like someone who was stranded on a desert island. To identify which exactly are the best products for you, you would probably have to do some research and experimentation before finding your favorites. Beard Grooming Tip #5: Turn to a professional. This is very useful advice, especially for those without a lot of experience in growing beards, but also for those that are not sure about whether they make the right decisions with their beard. In these types of cases, deciding to turn to a professional is one of the best things that you can do. After a few weeks, maybe a month, a month and a half (again, this depends from one beard to another) instead of deciding by yourself what’s the right path to go on, you can find a great barber and let him give you a trim that compliments your facial traits and your personal style. 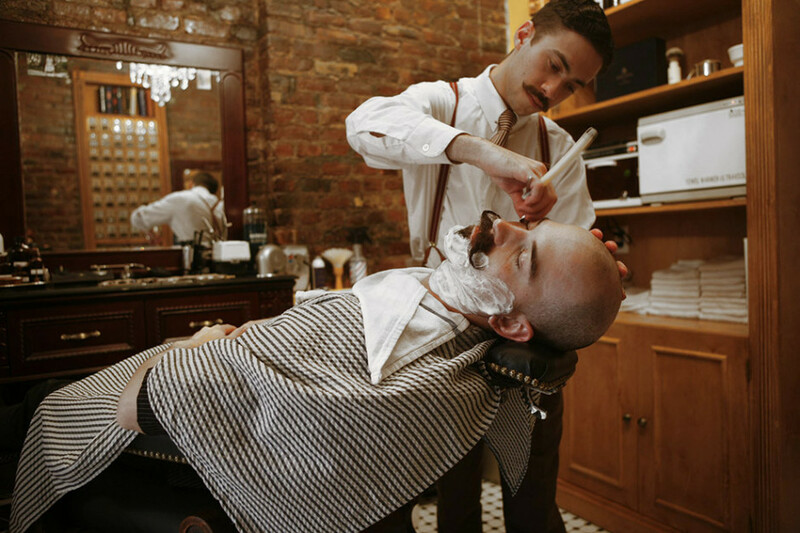 A good barber has seen his fair share of facial hair types and styles and can advise you better than anyone else what the right decision for your beard is. Even if you have experience with beards and facial hair styles, it’s a good thing to consult a professional from time to time. We hope the beard grooming tips that we collected and shared with you will be helpful for you. Although it’s almost impossible to give generally applicable advice when it comes to beards, you can use our tips as guidelines of your own experimentation. What are the Best Beard Vitamins?